The Maurice River Watershed covers approximately 385 square miles, or 246,170 acres, in Southern New Jersey. Different sources have broken the river down into subwatersheds. The naming of a subwatershed is arbitrary in many instances, but most relate to a specific stream or river’s name. Often cited are these: Muddy, Still, Scotland, Menantico, Middle Maurice, Manumuskin, Muskee, Buckshutem, Muskee, and Lower Maurice. The Middle Maurice and Lower Maurice actually encompass a number of watersheds. The Maurice River’s origins span a wide area; it makes up the second largest source of water to the Delaware Bay, second only to the Delaware River itself. In terms of political boundaries it has waters in Salem, Gloucester, and Atlantic Counties. The preponderance of the river lies in Cumberland County. While the farthest branches of the river are in Deerfield, Pittsgrove, Franklin Township, and Buena Vista, the vast majority of the watershed flows through Vineland, Millville, Maurice River, and Commercial Townships. There are a number of remnant millponds throughout the watershed, the largest being Cumberland Pond, Willow Grove, Parvin, Rainbow, Menantico, and Laurel Lakes. Clearly the most notable is Union Lake; at 950 acres and over 2 miles in length it is NJ’s second largest lake. 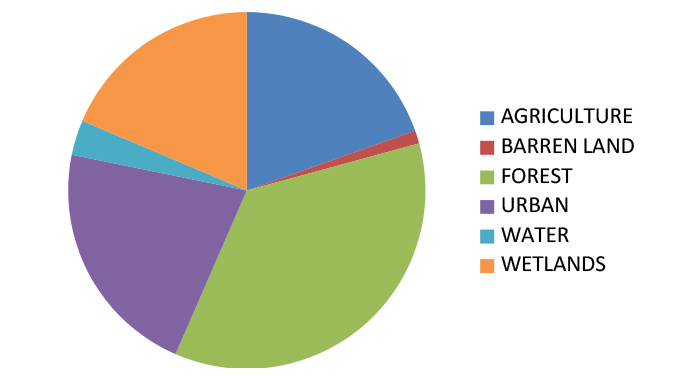 Although free flowing waters are preferred for environmental reasons. Some of these lakes are treasured for their recreational opportunities, since Southern NJ has no natural freshwater impoundments. Sportsmen and recreationalists use these dammed water bodies for many kinds of enjoyment – fishing, hiking, sailing, birdwatching, waterfowling, and paddling. The Wild and Scenic Rivers Act provides a basis for determining whether river areas are eligible for inclusion in the national system. To be eligible a river or river segment must be free-flowing, with a relatively undeveloped shoreline, and possess at least one outstandingly remarkable scenic, recreational, geologic, fish and wildlife, historical, cultural, or other similar value. Ultimately the dam at Union Lake kept the Wild and Scenic study area confined to the river downstream of the dam. An exception was made on the Manumuskin for Cumberland Pond at the insistence of the Wild and Scenic River’s Task Force. This was a group of citizens selected by the Cumberland County Freeholders to study the river’s attributes and develop the Comprehensive Management and Environmental Impact Statement for the Maurice National Scenic and Recreational River. The attributes that are called out for a Wild and Scenic River are referred to as Outstanding Resource Values. Many of the cultural attributes of the Maurice River are described in detail on our River Recollections section of the website. This section is a map tool – when a buoy at any given reach on the river is selected, a website narrative appears that explores the cultural attributes of that location. The portion of the Maurice River that is designated as Wild and Scenic begins just south of Fowser Rd. in Millville and ends at the Mauricetown Causeway Bridge (County Route 670). The river was eligible for designation from the bridge all the way to the Delaware Bay, but the political will to include the stretch south of the bridge was lacking. Since one of the cultural and natural Outstanding Resource Values defined for the Maurice related to the oyster industry, it is ironic that ultimately the lower segment of the river where this activity is carried out was not included in the designation. Possibly future generations will see the value in adding this omitted segment. The US Department of Interior Wild and Scenic designated portions are in five municipalities: Vineland, Millville, Maurice River Township, Commercial Township, and Buena Borough. During the study process, numerous conservation groups collectively sought to protect large undeveloped properties, within these boundaries, that had unique natural attributes. Those efforts continue to this day. 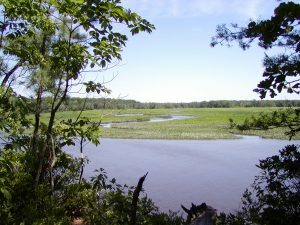 The largest initiative is the Maurice River Acquisition Project, which was established in 1994 in conjunction with the North American Wetlands Conservation Act. Organizations that have played key roles in these efforts are NJ Fish and Wildlife, The Nature Conservancy, Natural Lands, NJ Conservation Foundation, Ducks Unlimited, and others. Some of the crown jewels in these efforts have been the Peek Preserve, The Bluffs, the Manumuskin Preserve, portions of Peaslee WMA, and Menantico Ponds. The Bluffs property when purchased represented the longest stretch of undeveloped unprotected river in NJ; about 3 miles of riverfront were safeguarded by this acquisition. “The Delaware Bay Landscape is essential for the viability of national and international bird migrations as well as rare New Jersey wildlife. This region includes the Delaware Bay coast and marshes, critical stopover habitat for Western Hemispheric migratory shorebirds, including red knots, which depend on this coastline and an abundant food supply. This region also includes the Cape May Peninsula, nationally recognized for its high-density migration of passerines, American woodcock, and raptors that are funneled along the Atlantic and Delaware Bay coasts. 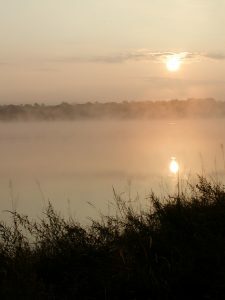 In fact over half of the species listed as threatened or endangered are present in the Maurice River watershed – a testament to its environmental quality and the undisturbed nature of the area. Federally endangered species called out by the Wild and Scenic study were the bald eagle, short nosed sturgeon, and peregrine falcon. The process turned out to be predictive of what is today a great comeback story. In 1986, when the study commenced, there was one remaining pair of eagles in Bear Swamp, Downe Township. Today eagle nests abound and the eagle has been federally down-listed. In 2016, of the 172 nests that were monitored 150 were active. NJ’s stronghold for eagles remains in Cumberland and Salem counties and the bayside of Cape May County. At least 10% of the State’s active nests are within the Maurice River Watershed and many border the watershed, including a significant winter roosting site. Vigilance is necessary to see that local river management plans are adhered to and that the Comprehensive Management Plan and individual municipal conservation zoning are upheld. CU Maurice River and interested citizens do what they can to monitor and preserve these safeguards.